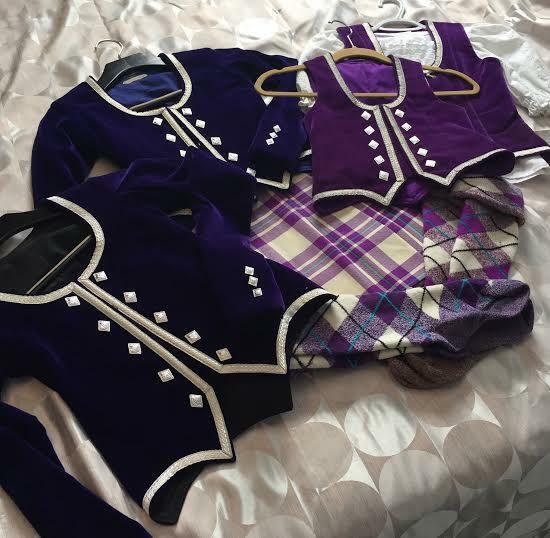 dance.net - Purple Cunningham kilt outfit with 2 sets of hose,2 jackets,2 vests, shirt (10245373) - Read article: Ballet, Jazz, Modern, Hip Hop, Tap, Irish, Disco, Twirling, Cheer: Photos, Chat, Games, Jobs, Events! 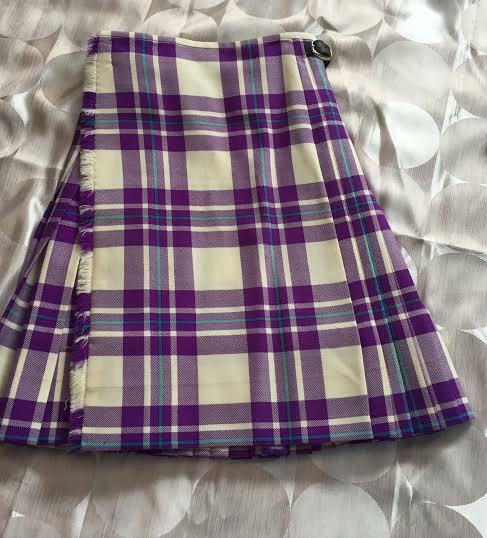 This kilt outfit will last for quite a while as it comes with a range of vests, jackets and hose as your daughter grows. Measurements taken across the front while laying flat. Heel to top of cuff- 13"
Heel to toe- 8 1/2"
Heel to top of cuff- 16"
Asking $1000 for all +shipping from Newfoundland, Canada. 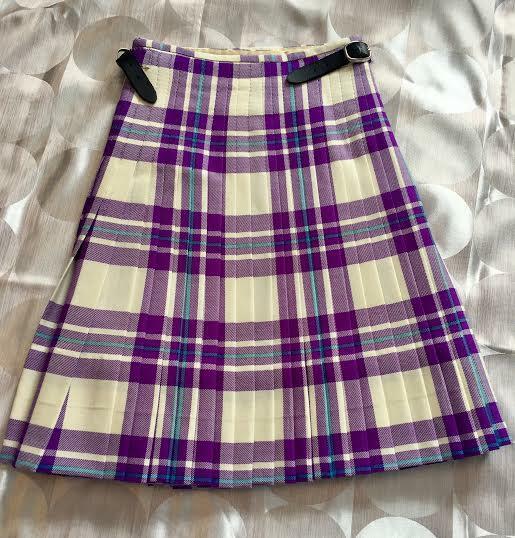 Please let me know if you require more photos and or measurements. Oh... well thank you. Sorry for the confusion to anyone. I tried to edit the description but the thread is too old. Hi. Would you be willing to separate this out a bit? I am interested in the larger darker hose. If I have more interest in separate items then I may do so. Please comment or message me if anyone is interested in separate items. Would you be interested in selling the largest purple jacket on its own? I am thinking about separating the pieces as I know the combination of all of it is a lot for someone to buy so I will have to figure out prices for individual items. If I do separate it...I will be keeping items together to sell the outfit as one complete set and will sell the other items separately. I am terribly sorry that I have taken so long to decide but I have been extremely busy lately. I will keep you posted. This outfit fit my daughter for several years...she still hadn't grown out of it when we moved to Newfoundland where she no longer danced. I would prefer to keep the outfit all together as it was very well maintaoned and it all goes together so well. Please let me know if you are still interested. I am interested. Please send me a personal message. I'd be interested in the kilt, larger jacket, and both pairs of socks. If you were willing to separate out the other jacket/vests, as they would all be too small for my daughter. I do have someone interested in the set right now but I will let you know if she doesn't take it. This set is now sold...thank you for all of your interest.